Do You Rely on Skills or Luck for Your Success? 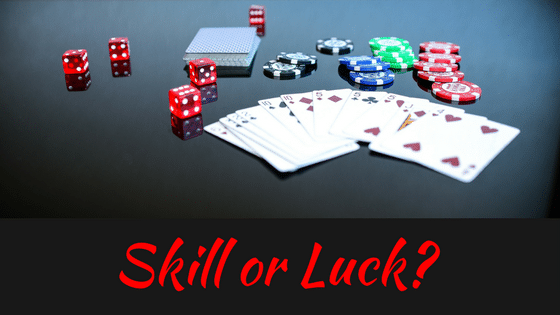 Skills or Luck: Which Do You Rely On? The skills of successful people are vitally important to their achievement: much more important than luck! No matter what your occupation – opera singer, sales executive, teacher – there are basic, strategic things you have to know. But what are the skills supporting these strategies? What do you actually have to do? I once took a football coaching job at school with a history of losing. The entire community had “loser’s limp.” They made excuses for why they couldn’t compete and win, including bad luck. In reality, the truth was that the players were unskilled. So, I knew I had to go back to the basics and I drilled skills over and over. The result was that although our players were much smaller than those on other teams, we out-executed everyone. Although we weren’t very big or very fast, we developed great skills, winning more games than we lost. Those winning seasons still stand in the school’s record books today. Notice, I didn’t focus on inspiring and motivating those players, because inspiration and motivation are short-lived. Motivation may raise hope, which is not a bad thing. As Zig Ziglar says, “If there’s hope in the future, there’s power in the present.” But belief is an entirely different thing, and much more powerful. Belief goes beyond excitement. Motivation involves inciting a persons’ emotions, which can fluctuate dramatically. Belief is more stable because it is a deep conviction or confidence in something or someone. To believe is to trust. So how do you raise belief? Belief is raised by achievement. Achievement is accomplished because basic skills are mastered. Therefore, belief and skills are interdependent. I saw this during my 20 years of coaching football, and I continue to see it in my 25th year of business coaching. What are the common denominators between athletes and business people? What got those kids to believe we could win? They mastered skills every day in practice. In business for example, I’ve seen people motivated to walk on hot coals at a weekend convention. They are excited! Unfortunately, it does not increase their skill level for closing sales, increasing new business, or advancing in their career. To accomplish those tasks requires mastering skills. At our sales boot camp, we always have a capacity crowd. Our clients come from all different industries and various levels. But the one thing they have in common is that although they come in with eager smiles on their faces, their self-belief level tends to be very low. They have tried other things like self-help books or strategic seminars. During the course of our training, which is experiential, they begin to practice simple skills for making outbound phone calls. A turning point happens when they get on the phone and use these skills to actually make live calls. As they matriculate through our training, we see their belief elevating. They are mastering a skill that isn’t overwhelmingly difficult and are facing ‘the enemy’. Once they had the skill in place, confidence rose, belief rose, and they began to deliver results. It was incredible. Post training, I’ve met with a number of those people, and they seem completely different. Their level of belief is through the roof, not because of any inspiration or motivation, but because they’ve actually mastered and executed some skills. A similar thing happens during our 3-day speaker boot camp, in which we teach people the entire business of speaking and training. 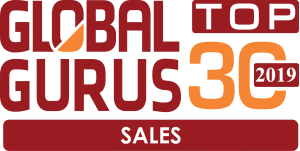 We coach them to develop a Core Story, which is a non-pressure sales presentation that delivers value. They can use this presentation at a Chamber meeting or leads group. On Day 3, we ask them to do something that we haven’t seen done in other speaker schools: each participant is given the opportunity to be in front of their peers and speak. As experienced and dynamic as these people are, they enter the room with a few butterflies and some nerves, which is healthy. However, after our training they are able to deliver powerful presentations, mastering that skill. This exercise literally explodes their belief window. They go from wondering if they really had what it takes to succeed in the business of speaking and training, to believing “I got this!” How? By executing the skills they needed to make it happen. Skill development does wonders for Your psyche! A long time ago, Dawn and I made a career transition. For many years, we only spoke on the big stage as inspirational and motivational speakers. Around 2002, we added training and skill development to our list of offerings. We did this because motivation lasts a few moments, but mastered skills produce results for a lifetime. Skill based training is the catalyst for elevating belief and creating career success. As we’ve worked with thousands of people, we’ve seen the same thing happen time after time. Whether it’s training for a company, private coaching, or a group setting, it always starts out the same: overcoming disbelief and past fears, helping people to realize if they master skills they master the game. Once skills are mastered, belief rises. How strong is your belief in your ability to succeed in your chosen field? Is there any area where belief, (therefore skills), may be weak? If so, make a list of the skills you need to master to take your career to the next level. Be intentional. If you’d like, email it to me at [email protected] or call me at (407) 947-2590, and we’ll talk about it. In every profession, it is mastery of skills that elevate belief and fuel success. Motivation and inspiration is part of what we do. But at the end of the day, nothing will generate more business and explode your belief like mastering and executing skills you need. Get to the next level in your career or business. Master the skills missing in you arsenal. Go out and apply these skills. Belief comes by doing. Not reading, not external motivation. You look fear in the eye and you do it. Action conquers fear!